When you install new glass shower doors , you can use green cleaning materials to keep your shower doors sparkling and clear. First, you can spray down the entire shower door with a nontoxic cleaning solution. Working from the top to the bottom of the shower will help encourage dirt and dust to fall to the ground. Next, you can use a scrubbing pad to remove the buildup. If your shower is no longer meeting your expectations, you may want to consider a shower door replacement. With a new frameless shower door, you will add elegance and style to your bathroom space. A company specializing in glass shower doors in Houston can help you select the perfect new doors for your bathroom. To take a look at some great tips for cleaning your glass shower doors, watch this video from MonkeySee. Soundproof glass can transform the noisiest room into a quiet sanctuary. If your home is affected by street noise or other bothersome sounds, you may want to talk to your glass company about a soundproof glass installation. When you choose soundproof glass for your glass replacement, you will block any unwanted noises from coming into your home. Like bullet-resistant glass, soundproof glass relies on innovative manufacturing methods to achieve its special properties. A glass company located in Houston can tell you more about the types of glass that are available to you during your installation. Read on to learn more about how soundproof glass works. One of the main principles behind soundproof glass is the transfer of sound. Sound is created by waves of energy, which travel through mediums such as air and water. 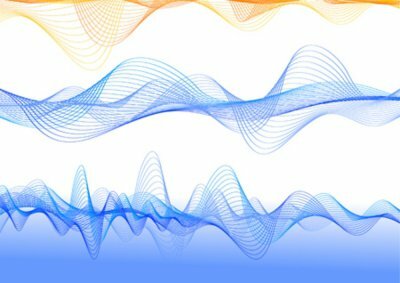 As a sound wave travels, it causes the air that it passes through to vibrate. The frequency and pitch of the sound are determined by the size and length of the sound waves. For example, a louder sound is created by a higher frequency sound wave. There are several different mediums that are able to transfer sound. For example, sound waves can travel through air, water, and gas. The rate at which sound travels through a medium is determined by the molecular structure of the medium itself. Soundproof glass is made up of a medium that creates a thick barrier against the sound waves. This barrier prevents sound waves from travelling through the pane of the glass. Soundproof glass is available in several different styles. One of the most basic types of soundproof glass is called double glazed glass. This type of glass is coated with lamination, which is designed to block travelling sound waves. Other soundproof glass types include dead space soundproofing glass panels, or spring-load seals. Your glass installation professional can help you decide what type of soundproof glass will be best for your needs. If you are seeking a top rated glass company that is located in Houston, look no further than Hurricane Glass & Mirror. For nearly three decades, we have provided our many satisfied customers with glass repair, glass shower doors, and a variety of other services. Over the years, our company has expanded from a small operation in a garage to a thriving business that serves the entire Houston area. Our expert team of staff is highly trained in all types of glass installation and repair services. For example, we can assist you with your bathroom remodel by installing beautiful new frameless shower doors. Other services that we provide include glass furniture repair and broken glass replacement. When you choose our company for your glass repair or replacement, you can rest assured that you will receive the highest quality service. No matter what your glass project is, we will get the job done right. Glass shower doors are the perfect addition to any bathroom. When you install new frameless shower doors, you will create a beautiful and serene glass enclosure for your shower space. A company specializing in glass shower doors in Houston can help you design the perfect doors for your bathroom. After your shower door replacement, you will need to maintain your shower doors with routine cleaning and maintenance. If you notice a streaky residue after you clean your shower doors, there are several steps that you can take to remedy the issue. Here is a guide to preventing streaks on your glass shower doors. Soap scum can leave streaks on your shower doors if it is not removed completely during your cleaning procedure. To eliminate soap scum on your shower doors, you can clean your glass with white vinegar. The white vinegar will eat away at the soapy film, leaving sparkling glass behind. For a more conventional shower cleaning solution, you can always also use a standard bathroom cleaning spray. Mold and mildew can also contribute to unsightly streaks and stains on your glass shower doors. To prevent mold and mildew, you can treat your shower doors with either bleach or hydrogen peroxide. A solution of diluted bleach and water will easily remove any mold growth. 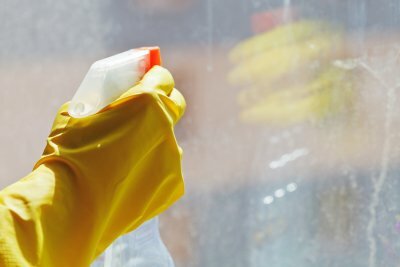 When you are cleaning mold from your shower, you will need to scrub thoroughly with a sponge or rag to make sure that it has all been removed. If your home has hard water, your shower doors may become streaked with mineral deposits and stains. After you clean your shower, you can prevent hard water stains by rubbing the surface of the glass with a fabric softener sheet. The chemicals in the fabric softener sheet will soften the water deposits and prevent them from clinging to your shower doors.